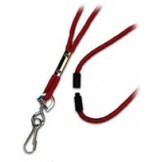 Colored Round Nylon Breakaway 38" Lanyard w/metal swivel hook-100 pack Priced as low as $0.82 each.. 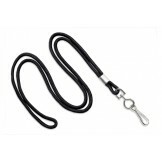 Colored Round Nylon Woven 38" Lanyard w/metal swivel hook-100 pack Priced as low as $0.50 each .. 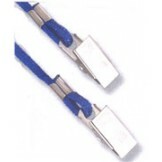 Colored Round Woven Nylon 36" Lanyard w-2 plated Bulldog Clips - 100 pack Minimum quantity 100-..